The BBC are launching a consultation with hyperlocal websites on how it can “work in partnership” as part of its Local Journalism Working Group. The proposals include the creation of a Hyperlocal Forum which will work towards a number of objectives and shared areas of interest, with initial partners including Nesta and the Carnegie Trust. engage with partners from across the hyperlocal community and other external media to establish a Hyperlocal Forum to meet twice a year from November. 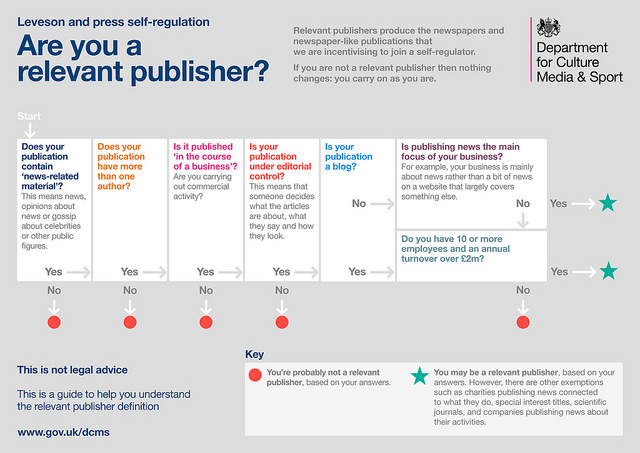 Some of this work is already being done (particularly Local Live), but the register suggests a more comprehensive approach and linking has long been a concern. 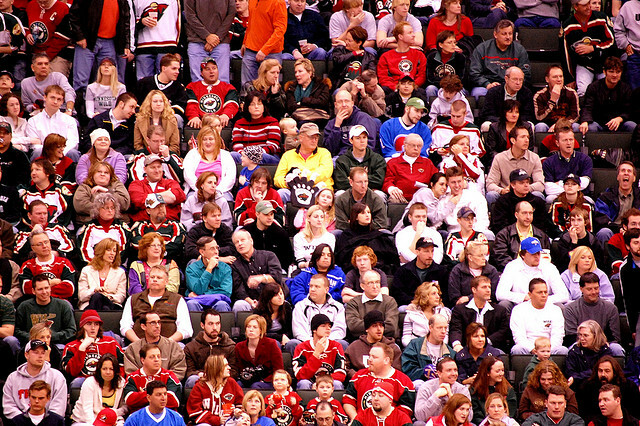 Send responses to hyperlocalviews@bbc.co.uk by September 30. This entry was posted in online journalism and tagged BBC, Hyperlocal, Local Journalism Working Group on July 9, 2015 by Paul Bradshaw. Last month I watched the founder of OpenOil, Johnny West, talk via video link about a dashboard he had designed to help people more effectively report on government announcements related to Chad’s hugely important oil industry. The dashboard struck me in all sorts of ways: firstly in automating certain processes it lowered the barrier to more effective reporting; secondly it reduced the time needed to do so; and thirdly it turned a numerical topic into something more visual, and in the process made stories easier to spot. 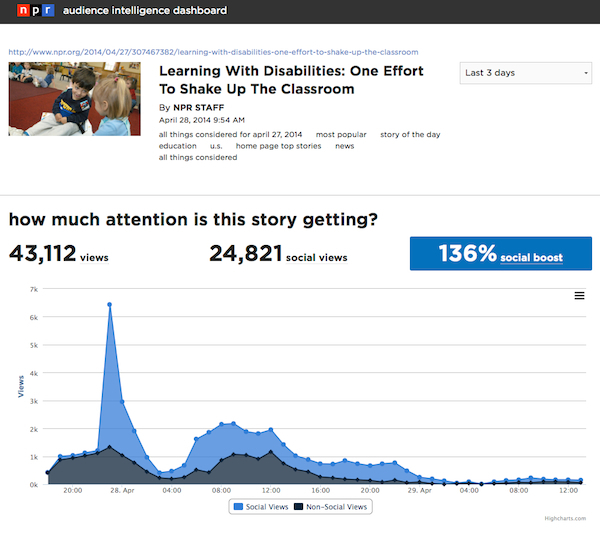 NPR’s Audience Intelligence Dashboard is part of the organisation’s attempt to build analytics into journalists’ work processes. Metrics dashboards are a big part of all three, including HuffPo’s analytics and Bleacher Report’s gamification of writer performance. But what about finding stories? 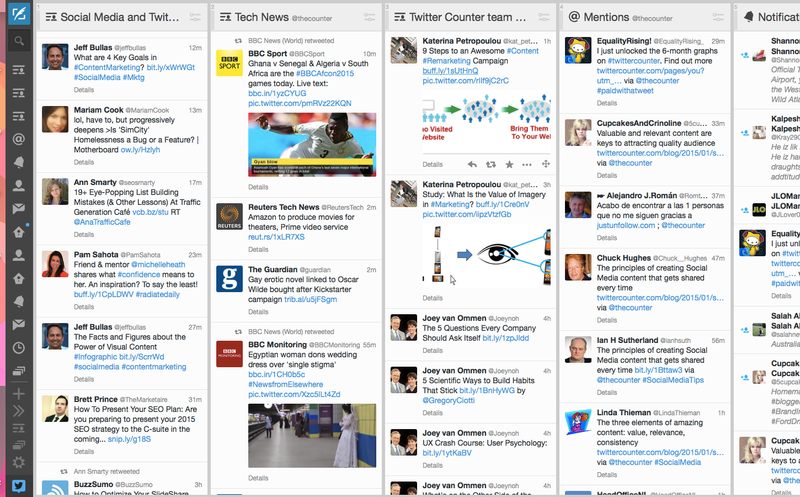 Tweetdeck and Netvibes are good examples of dashboards that save us time as journalists: specifically search time. 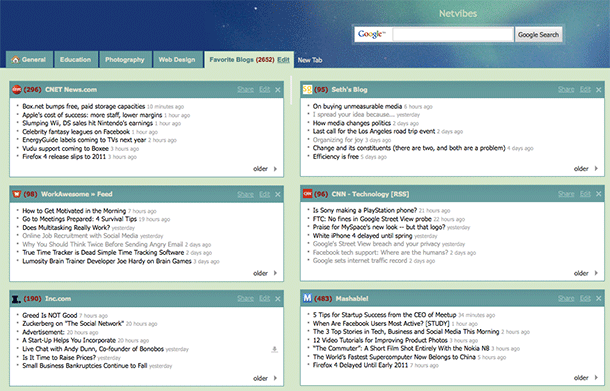 RSS readers like Netvibes mean that we do not need to check multiple websites or perform multiple searches to see if new information has been published or shared: instead we only need to check the Netvibes dashboard. In fact, we can set up more than one dashboard depending on when or where we might be using them: one for when we are covering health, for example; or another one for a specific event. Social media management dashboards like Tweetdeck and Hootsuite perform a similar function, but more narrowly focused on social media and with the ability to publish through the dashboard too, and in some cases access analytics. So we can add saving response time to the time saved performing searches across multiple social networks and monitoring multiple lists or hashtags. 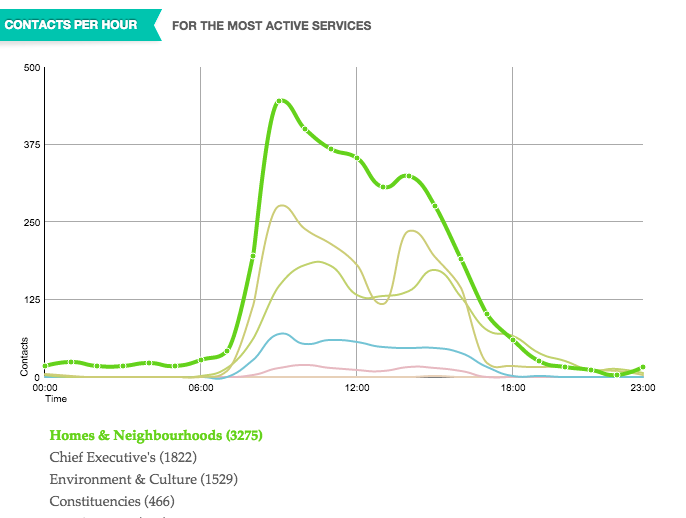 And then there are trending dashboards like Spike that aim to help newsrooms spot breaking stories. 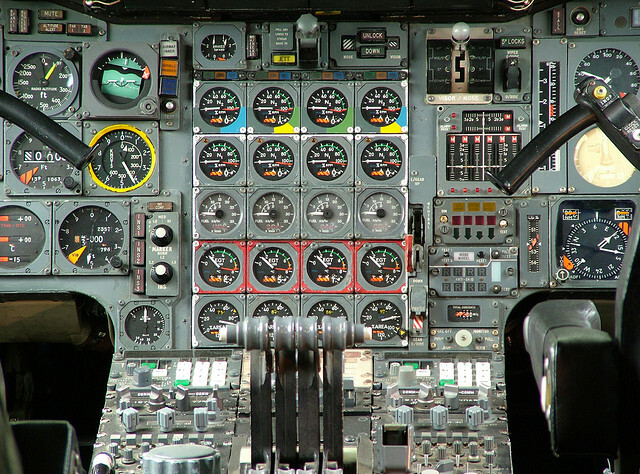 If you’re not using dashboards like these then you are probably wasting time unnecessarily. But these all rely on existing infrastructures, whether those are RSS feeds or social network APIs. 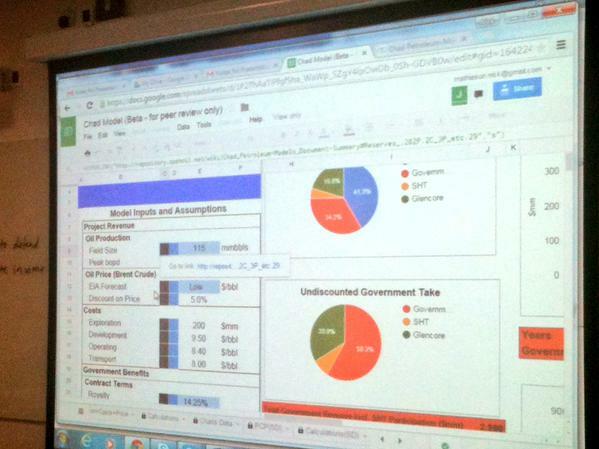 A dashboard created by Johnny West of Open Oil for Chad. 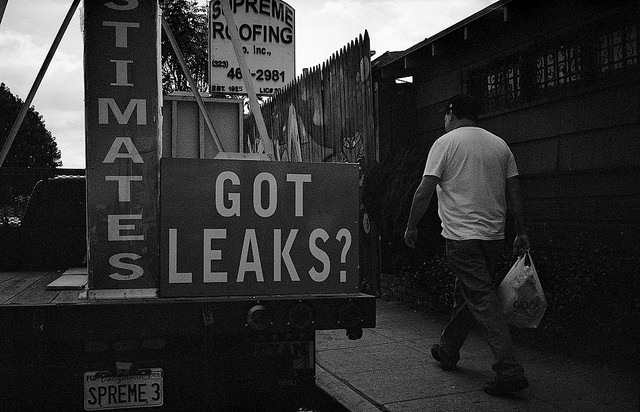 Image: Joel Benjamin. “You cannot achieve any real understanding of the many interlocking parts of the contract and revenue flows without a model of their relationships with each other. I would not trust any financial comment or analysis of oil economics done blind to a model. One result of financial illiteracy, he argues, is an inclination towards simple but meaningless comparisons: one royalty rate being higher than another; or how much an income tax rate was raised by. Those are isolated examples, but they shouldn’t be. 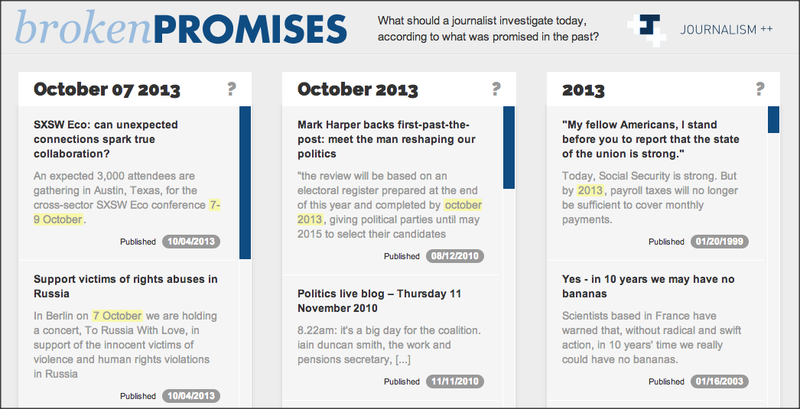 I once created a dashboard for journalists at a Scottish newspaper to pick stories out of some data I had scraped. 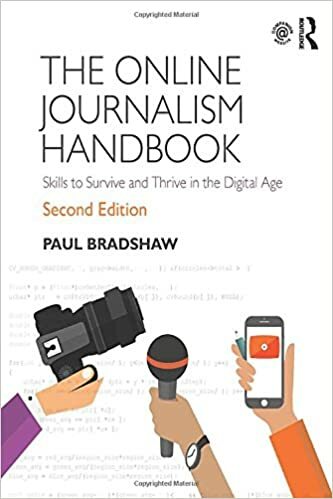 It meant that journalists with very little spreadsheet skills could call up data on any one of hundreds of measures by using a drop-down menu and be shown where to focus their follow up calls instantly. Some great original stories and big splashes came out of that, yet all it took was a little initial effort, after which dozens of stories were easy to report. Online spreadsheet tools like Google Sheets allow us to pull in live information, using built-in functions that fetch stock prices, or scrape web tables or feeds (which themselves might be generated by scrapers). Once we have that live information it can be connected to historical information, and display those relationships visually. Imagine a dashboard that pulls in the latest crime reports and tells us whether they’re going up or down – and where. 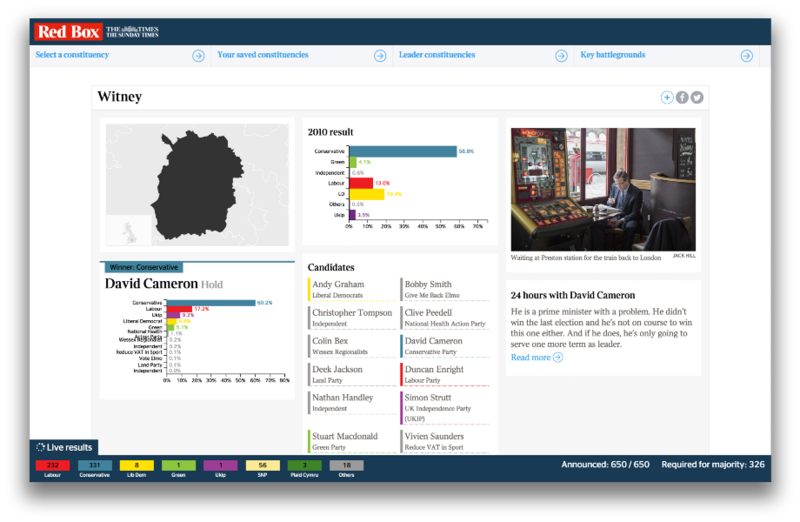 Imagine the BBC’s A&E tracker redesigned for journalists as well as readers. Imagine sports performance shown dynamically, so you can pick up on the most improved performers and not just the top performers. Much of this is already happening – but it’s not being done by journalists or news organisations. FixMyStreet has long pioneered the ability to report – and see – local problems. And Birmingham’s Civic Dashboard showed all sorts of information on things like which parts of the council were getting the most contacts and when. Expect to see more of these dashboards as the growth of ‘smart cities’ drives the connection of transport systems, policing, education, business and health. 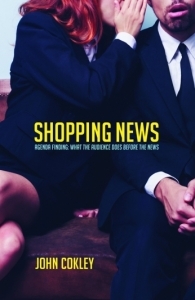 But they’re not being done by news organisations. And that’s the point. Where data is already published we need to be setting up dashboards that bring it to the journalists. Where data is not, we need to be pushing for access to it. It may be that news organisations can no longer “afford to be a paper of record and dutifully report everything that happened on our patch”. 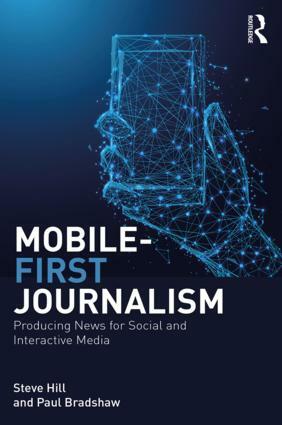 But we can do a better job of bringing as much as possible that happens to journalists’ desktops – and not just the stuff that is shared on social media. This entry was posted in data journalism, online journalism and tagged Chad, dashboards, fixmystreet, Investigative Dashboard, Johnny West, oil, smart cities on July 1, 2015 by Paul Bradshaw.